Saturday, 09 June, ended up a relatively quiet day at Vogeltown Park with only the Premiers in action against Inglewood. The Division 1 and Division 2 sides both had a bye and the Colts recorded a win following default by Inglewood. 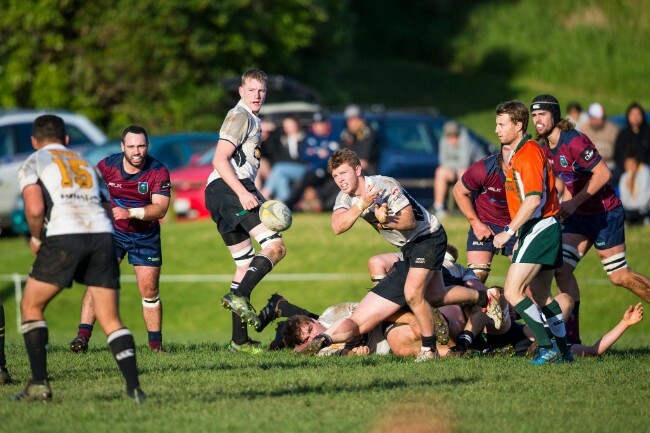 BCD Group Premiers recorded its best result for the 2018 season to date with a 53 – 10 victory against Inglewood, scoring 8 tries in the process. Inglewood opened the scoring early in the game which was followed by a try to Jamarl Weir to tie the scores 5-5. Inglewood scored its 2nd try minutes later to take the lead 10-5 before Shaan Waite scored to level the scores after 20 minutes. For the next 60 minutes it was all Old Boys, with tries to Jahmarl Weir, Matt Guthrie, Michael Loft, Tupou Va’ai and Daniel Waite before finishing off with a penalty try after pressurising the Inglewood scrum close to the line. Inglewood played some good rugby at times but they came up against a well organised team with the ability to play an exciting brand of rugby and score tries from deep inside their own territory with good interplay between the forwards and backs. Players to stand out for Old Boys and to pick up MVP points were Hamish Alabaster (3), Daniel Waite (2) and Michael Loft (1). The Premiers sit 3rd on the competition table 3 points behind the leaders Coastal. Next weekend (23 June) is the final round robin game at the White House when all Senior sides take on Clifton. The Match day sponsor for these games will be Rampage Fitness. The Club will ne having an 80’s night & entertainment after the match against Clifton with details to be provided in due course. The final game of the regular season on 30th June sees the Senior sides travel to Rahotu to play Coastal. The semi-final matches games will be played on 7th July and all teams will be keeping one eye on results of other matches over the coming weeks in the hope that they will get another run in the 2018 season.